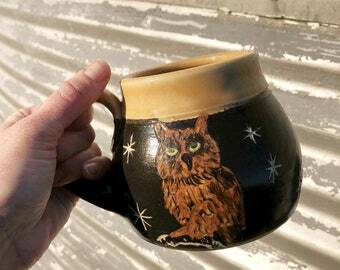 I made this coffee mug on the potter's wheel in my Kansas studio. I decorated the surface with a scale texture. 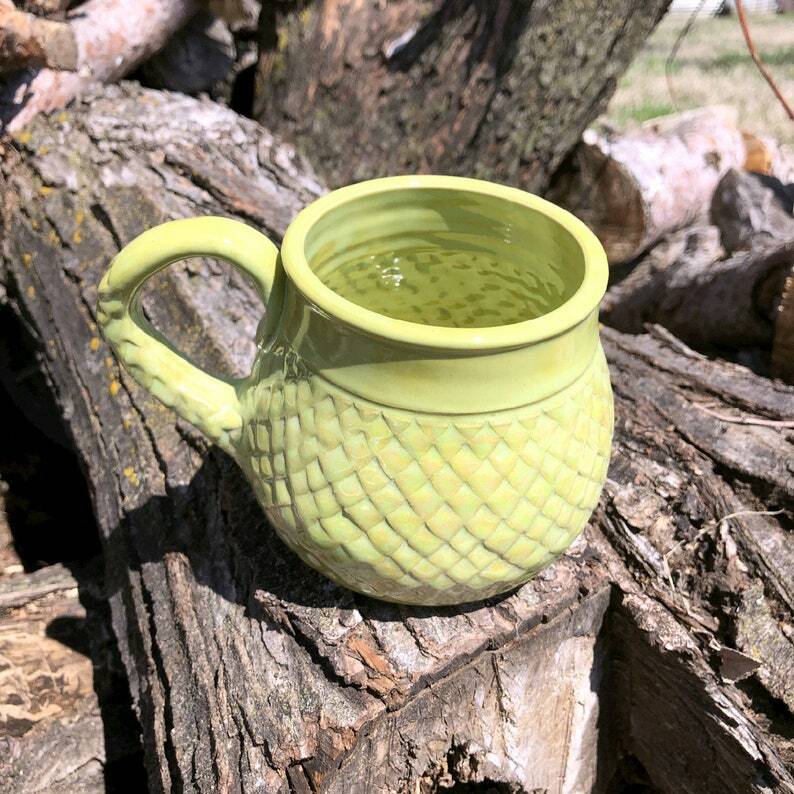 After the mug had been fired once, I glazed the entire mug in a vibrant chartreuse glaze. 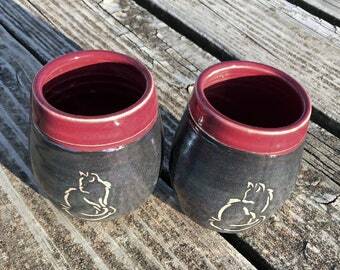 I then fired the mug in oxidation to about 2100 degrees Fahrenheit. 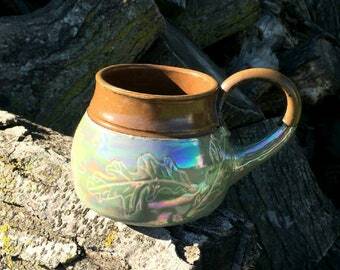 I applied mother of pearl luster on the scales and fired the mug a third time. This mug will hold 20 oz. of your favorite beverage. 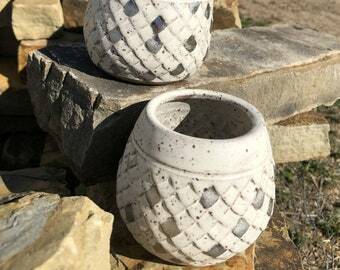 It is 3.75 inches (9.5 cm) tall and 4.25 inches (10.8 cm) in diameter.